Update April 15: Hazem Salah Abu Ismail is among 10 presidential candidates disqualified Saturday by Egypt's Supreme Presidential Election Commission. The Muslim Brotherhood's anointed candidate, Khairat el-Shater, also was eliminated from consideration along with Omar Suleiman, who served as ousted President Hosni Mubarak's spy chief.The candidates can appeal through Monday, but the final ballot will be set April 26. It's the dawn of a new age in Egypt for Salafist presidential contender Hazem Salah Abu Ismail. The confidence exuded by the popular 50-year old lawyer-turned- preacher says as much. He has praised al-Qaida founder Osama bin Laden as a "martyr," called on the United States to release convicted terrorist mastermind Omar Abdel Rahman (aka the "Blind Sheikh"), and has said the 9/11 terror attacks were "fabricated from the outset." Israel, he says, is a "false state" and Egypt should nullify the peace treaty with it. His political platform closely mirrors the strict Salafi reading of Islamic law, which denies the very existence of personal freedoms and attempts to set society back to the way it was during the time of the early Caliphs. His views appear to be striking a chord in Egypt. He is soaring in polls six weeks before the election. The candidate, whose bearded face can be spotted on walls and posters all over Egypt, is polling in second place with 28.8% support among 1,200 respondents. And while the results do not take into account last-minute changes in the race, including the entry of former Mubarak insider Omar Suleiman, it's not a bad sign to be second only to an Egyptian bigwig like former Arab League Secretary Amr Moussa among a crowded field of presidential hopefuls. Political data aside, Abu Ismail has a lot to be confident about. In just a few short weeks, he has not only defied fierce attempts from within his own power-base to sideline his presidential bid, but has also curbed an initial legal challenge over his legitimacy to pursue office. The fact that Abu Ismail's political stock has risen so rapidly, even while being plainly clear about his intentions to forcibly implement the Salafist's austere vision of Islam on the country speaks to Egypt's political climate. Just 15 months after Tahrir, the country is today a far cry from Hosni Mubarak's Egypt. Political Islamists have secured three quarters of the new Parliament's lower house and more than 80 percent of its Shura Council (or Upper House) seats. Muslim Brothers sit at the head of the table in both chambers, and numerous prominent Islamists are battling it out over who will take over Mubarak's former job. The secular liberals—largely credited with launching the revolution in the first place—Christians, socialists, and former regime officials are all but MIA. Abu Ismail's political success may have been unthinkable fifteen months ago; today it is a reality. Hosni Mubarak's autocratic government showed signs of softening its stance toward political opposition in late 2005. Longtime regime foes, mostly from the country's Islamist Muslim Brotherhood movement, were freed from prison and the group was permitted to publicly field candidates for parliamentary elections for the first time. The Brotherhood candidates would officially have to run as "independents," but that independence would be in name only. Such limitations did not apply to campaign messaging. It was not long before young volunteers were spotted all over Egypt donning T-shirts emblazoned with the slogan "Islam is the solution" and blasting songs unambiguous in aim: "the world is thirsty for Islam." For the first time, campaign posters called for support of "al-Ikhwan al-Muslimun" [Muslim Brotherhood] instead of the more vague allusion to the group employed previously: the "Islamic trend." In this context emerged a relative unknown with aspirations to affect Egypt's long-closed political inner-circle. That man, a wealthy lawyer-businessman affiliated with the ascendant Muslim Brotherhood, was named Hazem Abu Ismail. Although an "independent" on the ballot, Abu Ismail undoubtedly was a member of the Brotherhood. Supported by thousands, he hit the streets to increase name recognition in hopes of winning a parliamentary seat representing Cairo's Dokki neighborhood. It was a familiar exercise; he had done much of the same in a failed parliamentary bid in 1995. Much like he does today, Abu Ismail didn't mince words when letting voters know where he stood on religion in politics: "A vote for us is a vote for Islam," he told listeners. His message seemed to resonate. Voters seemed to come out strongly for Abu Ismail. But despite Mubarak's claim that he was allowing freer and fairer elections, the system in 2005 was still wrought with voter fraud and tampering. Initial reports in the state press claimed victory for Abu Ismail. But then something peculiar happened. "The polling station was locked up, and monitors and candidate representatives were banned from entering," the Brotherhood's then-spokesman, Helmy El-Gazar, told the press. Soon after, officials called a victory for Amal Othman, a member of Mubarak's National Democratic Party (NDP) and a longtime party stalwart. The alleged tampering set off a firestorm between Abu Ismail's supporters and the ruling regime. Once the dust settled, the Brotherhood's "independents" took home 20% of the vote—its largest share to that point; but Hazem Abu Ismail was not one of those who made the cut. After twice snatching defeat from the jaws of victory because of fraud, Abu Ismail decided to sit out 2010's elections. The decision ended up being the right one, as some human rights groups called the parliamentary poll the "most fraudulent ever." Abu Ismail stayed "politically inactive" in the five years following his defeat, but his sermons at the "prominent Assad Bin El-Forat Mosque in Cairo" were as political as ever. Staunchly critical of the Mubarak regime, Abu Ismail even took to the courtroom to defend notable Brotherhood figures detained by the regime, allegedly without due process. One of Abu Ismail's clients at that time was MB Deputy Supreme Guide Khairat Al-Shater—an ironic twist as Shater is now one of Abu Ismail's main foes in the hunt for president. But the entire game changed with the rise of the Arab Spring and Mubarak's ouster —as did Abu Ismail's outlook. Salafists—first opposed to political participation—formed official parties and took stances on political issues. And the Brotherhood—formerly an air-tight top-down hierarchy—began to show cracks under the pressure of its new role in the post-Mubarak Egypt. It was time for this Salafist to leave the group behind. Today, he attributes much of his success to the Brotherhood, while making sure to note that "he is not a member and has some minor differences." Yet, according to his campaign manager, Abu Ismail maintains good relations with the group. "He took his organisational (sic.) skills from them, campaign manager Hany Hafez told Al-Ahram. And because of his long association with the group, "he is more lenient towards the fundamentals of religion than the [mainstream] Salafist point of view." This approach hits at the very heart of the Brotherhood way: applying Islamic Sharia Law "gradually"—a mantra he repeats often in interviews. But what exactly is to be applied "gradually" and how it is to be applied is harder to discern, even for a man whose candor is his calling card. His political platform is broad, refusing to go into the weeds a flesh out potentially controversial stances. So what would an Egypt under Hazem Abu Ismail look like if the Salafist preacher were to be elected in the May 23-24 elections? A large part of Abu Ismail's appeal in Egypt stems from the consistency of his views. The same cannot be said for the MB. Early in the campaign, political leaders in the Brotherhood's Freedom and Justice Party (FJP) announced they would not contest more than a third of seats in Parliament. The group has reneged on all of its early promises and won a near-majority in both houses of Parliament, enjoyed a dominant position in the now-suspended Constitutional commission and has two members running for president. Abu Ismail is on record since at least 2005 calling for the Brotherhood to use its parliamentary strength to "push harder to ban alcohol and gambling, which is allowed in hotel casinos [to foreigners]." He holds to those positions today as a presidential contender. On the protection of personal freedoms, Abu Ismail has been clear: it doesn't exist. "If you claim that Allah considers it your personal freedom, show me your reference," he fired back in a recent interview. "Nobody has ever said that – except for people [who] have no understanding of Sharia,"
Supporters of Hazem Salah Abu Ismail hoist a black banner of al-Qaida. He believes the veil should be mandatory for all women, calling it a "religious duty." He has made plain his intention to impose his view—or as he says "God's rules"—on all of Egypt. Asked whether he would impose the veil on non-veiled women on one talk show, he said "women should either wear the veil or change their creed." "If you join [the military], then you are obliged to wear their uniform, to attend their classes, to attend the training with them and to obey their leader," Abu Ismail has said He sees religious law no differently. He is ambiguous, however, about how such an edict would apply to the country's sizeable Coptic Christian minority, only saying that Islamic Sharia Law does not need to be applied to Copts. He is aware of the sensitivity of the issue, and has attempted to allay fears about how Islamic law would affect Christians by saying that Sharia "stipulates that every citizen, whether a Muslim or Copt, should be treated in accordance to what his/her beliefs in the confessional arena." Try telling that to women who, under Abu Ismail's Egypt, want to be a wife and a professional. While supporting women's education, Abu Ismail has insisted that women should only work out of economic necessity after completing their studies, and that work should end once they are married and with kids. "Motherhood is an honorable profession and the state must provide for housewives," he said. "Women must not be obliged to work outside the home." For those women who do work, they would likely be working in a gender-segregated workplace. "[S]ex mingling at the workplace creates intimacy that Egyptian men do not accept," he said. His Quranically-guided platform calls for sweeping changes to everything from Egypt's tourism sector, to its justice system, to the economy. He wants to replace prisons with "rehabilitation centers," and has called on Egypt's tourism industry to cater more to conferences, festivals and "health and historical tourism" rather than lure beach goers. And he wants to see Egypt adopt a zero-interest Islamic finance system. Such plans for economic prosperity will be tough to turn into reality considering the dire state of Egypt's economy. Abu Ismail would cut Egypt's largest revenue stream (beach tourism) in favor of an increased focus on agriculture, and he would cut off a major trading partner in Israel by invalidating the Camp David Accords. Such a move, says one report, could end up costing the Egyptians $1 billion in lost revenue and more than 70,000 jobs. Dollars and cents can't matter in this equation—at least not when at the expense of what Abu Ismail feels is demanded by Islamic law. "The bottom line is that I will not do something that is forbidden, even if I stand to profit from it," Abu Ismail said on Egyptian TV last September. "Let me be clear about this. I cannot turn against Allah. The Egyptian people does (sic) not want this, and neither do I. Nobody wants this." He continued: "When I become president of this country, I will remain one of the people. Therefore, I am not telling the people things that I invented myself. I say only things that Allah says." And so it will go with Egyptian-Israeli relations. "We believe that Israel is a false state, and that Israel has no right to Palestine," Abu Ismail's platform reads. And in another appearance: "There is nothing called the State of Israel. Palestine from the river to the Sea." "I am an enemy of the Camp David Accord and the peace agreement," he said. "It's not just me, it's all the Egyptians. Nobody wants Israel to get anything." Such views are nothing new for Abu Ismail. In February 2009, he made waves in the West when he told an Egyptian TV network that Muslims should boycott Pepsi—or "Pay Every Penny to Save Israel"—as well as Coca Cola and other similar products. "When you pay [to buy Pepsi], you are saving Israel," he said. As discontent toward the Muslim Brotherhood grows over concerns it wants to consolidate power, Salafi candidates like Abu Ismail offer compelling alternatives. They refuse to water down their views or broker deals. And that is helping draw support from some unlikely places. "I used to support [the liberal candidate, Mohamed] ElBaradei before he withdrew from the race," a non-Islamist voter said. "But now I believe Abu Ismail is the only candidate with the ability to realise (sic) genuine change. I think he has the tools and capabilities required to bring about transformation." Economic and political challenges will keep Abu Ismail too busy "to enact ultraconservative religious laws, such as imposing the veil on women," he added. Nothing in Abu Ismail's history supports that wishful thinking. His core supporters are die-hard—literally. "We will die for him. 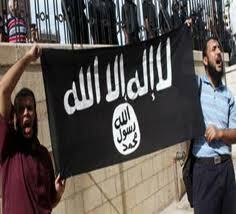 We will kill for him, if he does not run in the presidential race," one Salafi supporter yelled this week. "Voting for Abu Ismail is Jihad in the Way of God and electing another merits Hell," another said last Friday. For true believers, that's a hard message to ignore. Back on the campaign trail after stalling the legal challenge to his candidacy, it's easy to see why Abu Ismail is feeling good about his chances. In 2012 he has the potential to beat his bum streak, no longer forced to play in Mubarak's one-sided game. Every attempt to sideline Abu Ismail thus far has failed, and he is making gains in the most unlikely of places—even while refusing to water down his views. He still could be found ineligible for office if officials provide formal documentation proving that his mother was an American citizen (as opposed to the informal notification that was initially sent to the election commission from American authorities). Egyptian election laws require that presidential candidates and their immediate families are citizens only of Egypt. But the onus is on them to prove the case. 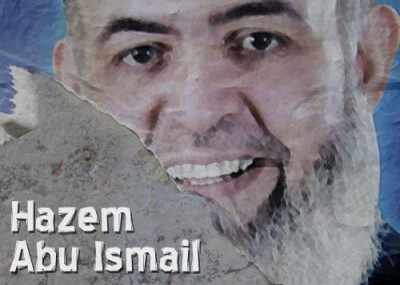 Abu Ismail considers the ruling a powerful message to America and Israel. "They wanted to assassinate me, and God wanted something else," he says.